Guerilla help sustainability pioneers towards a cleaner, greener tomorrow! We’ve been working with North East food waste recycling company and sustainability pioneers, Warrens Group on a new unified brand identity with the aim of elevating their brand profile and supporting the organisations strategic ambitions. The Guerilla Team is collaborating closely with Warrens Group Directors, Antony and Adam Warren and Ian Bainbridge on the project with activity now approaching fever pitch in readiness for the planned 1st October launch event! 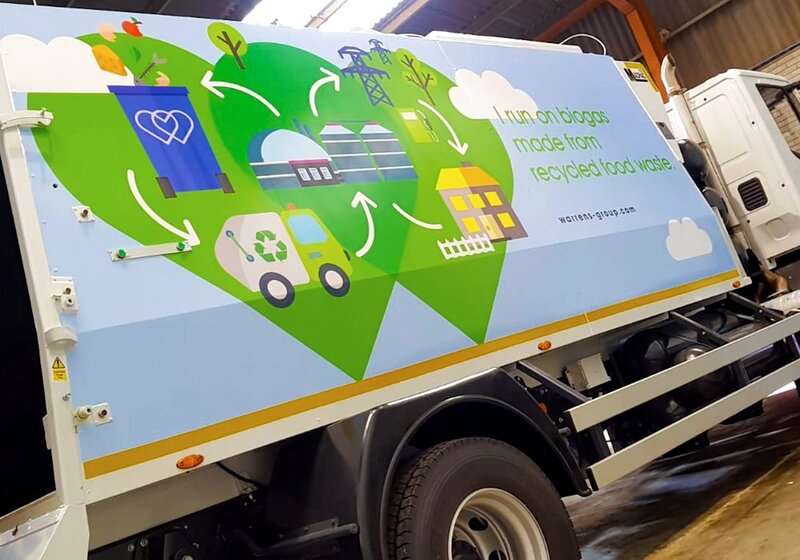 As part of the rollout, we’ve created new a eye-catching livery for their new eco-friendly trucks – and we’ve just received advanced pics – and we think they look great – so we thought we’d give you a sneak preview! We’re looking forward to sharing the full story after the official brand launch – so watch this space!